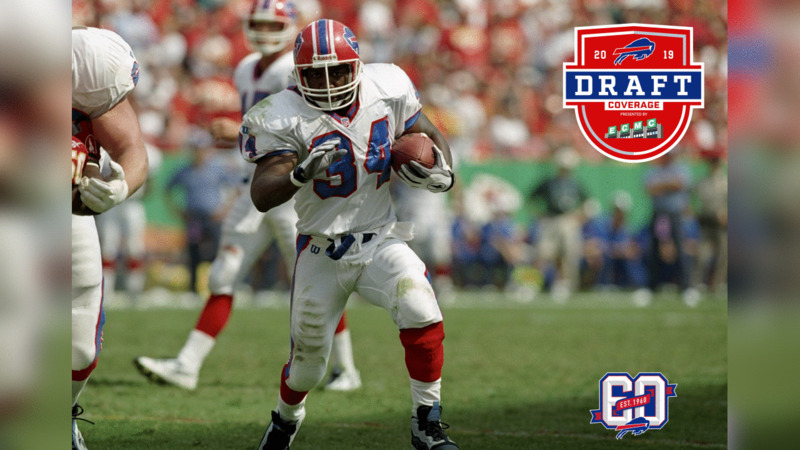 As the Bills gear up for the 2019 NFL Draft, we take a look back at draft picks throughout team history. Bills draft coverage is presented by ECMC. LB Shane Conlan, Penn St.
WR Don Beebe, Chadron St.
WR Eric Moulds, Mississippi St.
CB Nate Clements, Ohio St.
S Donte Whitner, Ohio St.
CB Ronald Darby, Florida St.
CB Taron Johnson, Weber St.
S Siran Neal, Jacksonville St.